Hyundai-Sime Darby Motors Sdn Bhd plans to start CKD assembly of Hyundai SUVs by mid-2007, in efforts to capture a bigger share of the non-national car market. 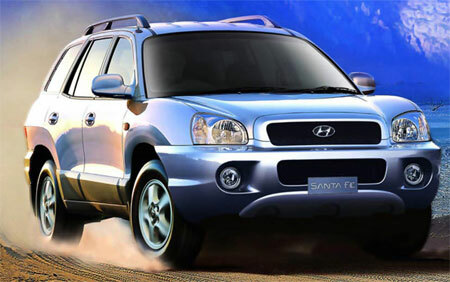 Hyundai’s Malaysian SUV offerings currently consist of the Tucson crossover SUV and the Santa Fe SUV. The Tucson is a small SUV going on head to head with likes of the Ford Escape, and the Hyundai Santa Fe competes with the bigger boys like the Honda CR-V.
Local assembly of the Hyundai Getz 1.4 with an Inokom badge has managed to drop the price by about RM10,000 – so I guess we can expect a CKD Santa Fe soon, with the Tucson coming later, similiar to the route Naza took with local assembly of the Kia Sorento first, and possible assembly of the Sportage in the future.